Other people have trauma. They have terrible experiences that make them unwell, behave strangely, feel overwhelmed. What a horrible world. No wonder they have problems. I don’t have that excuse though. Nothing awful has ever happened to me. So I just need to get a grip and get on with life. That’s what I used to think. Trauma was something that existed outside of my experience, it happened to other people, and a lot of those people had the same issues as me – lifelong ill health, depression and anxiety, and then finally, a physical crash into Chronic Fatigue Syndrome (CFS). I started to get an inkling that my childhood might not have been as ‘normal’ as I thought it was when I started seeing a counsellor in my early 30s. I had just returned to work after 6 months off, alternating between bed- and house-bound with crushing fatigue and nausea. Every session ended up revolving around my dad. Every time I went back in there I was determined to leave him out of it, and talk about me, what I wanted and how I felt. But it always came back to him, whichever route I took. My anger spilt out. I was sick of everything always being about him. He couldn’t be the reason I was ill and felt so helpless. There must be something else. Fast forward 3 years and I was attending group therapeutic coaching sessions with a handful of women all suffering with CFS too. I had found my people. And they all felt similarly to me. But I was still looking for the reason, the root to my ongoing illness and this rage that burnt me daily. It was during one of these group sessions that the coach brought up the topic of trauma. Trauma can be a root cause of physical issues. We must deal with our trauma to heal our mind, body and spirit. I agreed. I had started to understand the link between the mind, emotions and body, and had bought into the theory that emotional stress could manifest as physical dis-stress, or disease. But these other women had trauma, proper trauma, repressed memories and ancestral trauma. I still didn’t fit here. And then the most crucial piece of information was dropped into the conversation. There are different kinds of trauma. There is ‘big T Trauma’ – war, natural disasters, terrible accidents, sexual and physical abuse, the kind defined as being an actual threat to life. But there is also ‘little t trauma’ – an accumulation of everyday, less pronounced events that cause distress, broadly defined as a perceived threat to life. BOOM. There it was. At last, a clear and valid outline of my experiences. I had been subject to lifelong mental and emotional abuses by my unstable father. On a daily basis there was rageful criticism, humiliation, rejection, abandonment, co-dependency, alcohol and drug abuse and fears for physical safety. And I’d just come to see these as normal. I had spent so many years accepting his behaviour and excusing it because I didn’t consider it a ‘big T trauma’. On learning that I had indeed experienced an onslaught of almost constant traumatic experiences throughout my life, I was finally able to frame my experience as something that was valid. The pain and distress I had felt my entire life made sense now. It wasn’t just a random set of experiences I had to stuff down and try to just cope with; these were ongoing traumas that were the root of my mental, emotional, spiritual and physical dis-ease. The Chronic Fatigue was my body giving in under the strain of 30 years of trauma. I had nothing left to give, no space left in me to store the hurt, sadness and rage. I hit rock bottom, and in that place I was led to the truth: I am traumatised. I didn’t deserve it. And I have the power to heal it. The trauma, the continual ‘perceived’ threat to my existence, created a belief system in me that had me on continual alert for attack or abandonment. Hyper-vigilance and a permanently stimulated nervous system can lead to many physical symptoms, as the nervous system was designed to click into the stress response – flight, flight or freeze – for particular life-threatening circumstances; those that threatened life and limb, to help us to react in a way that might save our own life. When the tiger jumps out of the bushes, its great to have a serge of adrenaline and cortisol to run like hell and not worry about anything else. But it was designed to click back out of this state soon after, to rest and heal from the trauma. So when that stress system gets stimulated many times over, in repeated instances of trauma – as well as in big instances – it can get stuck in overdrive. This unnaturally long state of arousal can cause many unpleasant physical symptoms, and in my case led to CFS. I was in a permeant state of stress. I was permanently primed for attack. My healing journey has been one of recognising this, accepting the origins of these stress triggers, and taking the steps to heal the trauma experiences that led me to my physical and mental breakdown. It’s a process. There wasn’t any one moment of release, relief, healing; there have been many and there continue to be many as I process, heal and release the trauma I have stored inside my body for my whole life. Working with trauma has been the foundation of my recovery journey. Learning that there are different types of trauma, and all are valid – they can all cause an over-stimulation of the flight/ flight / freeze response – gave me the power to really start dealing with my past. I dedicate my life now to supporting others to recognise and heal their trauma. It is something that was never supposed to be yours. Releasing its effects in your life can benefit your experience of life, but also the lives of those around us and those that come after us. In this way, dealing with our own trauma can change the world. Your experience is valid. Let’s keep coming together to share our truth and heal the trauma. It’s the way to our health, and our freedom. PS Join us for a free online event ‘Getting to the Root of Chronic Illness’ on the 18th October at 9am PST/ 12pm EST/ 5pm BST, sign up here for live access and a replay link. 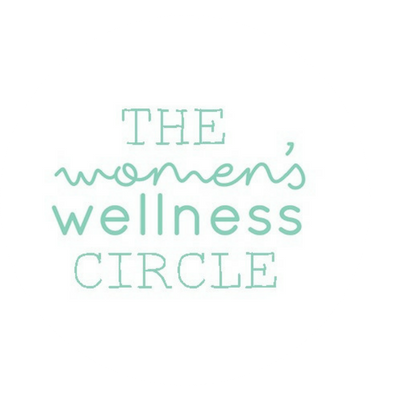 Receive our free ‘Five Steps to Reclaim Your Health’ course – an inspiring and practical mini-course for women with chronic health challenges who want to live a healthy and purposeful life. How specifically did you deal with your past traumas to heal? Recognizing them isn’t enough. Often though we understand the root of our traumas, more has to be done to stop the brain from continually stressing. Just curious what steps you took that led to your recovery. Thank you for sharing your story, it resonates with me. I’m so glad you found your root cause. I need to do this.